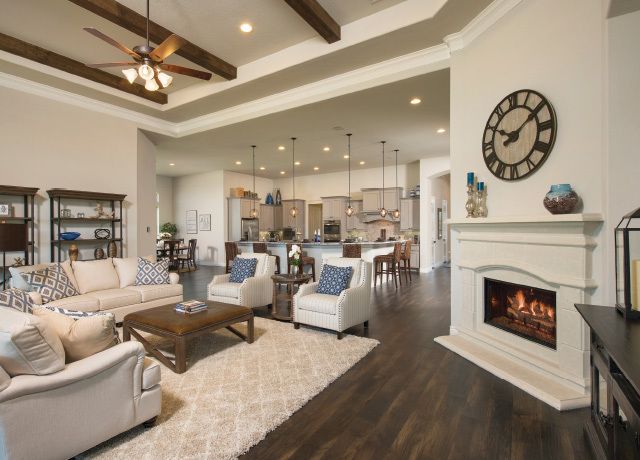 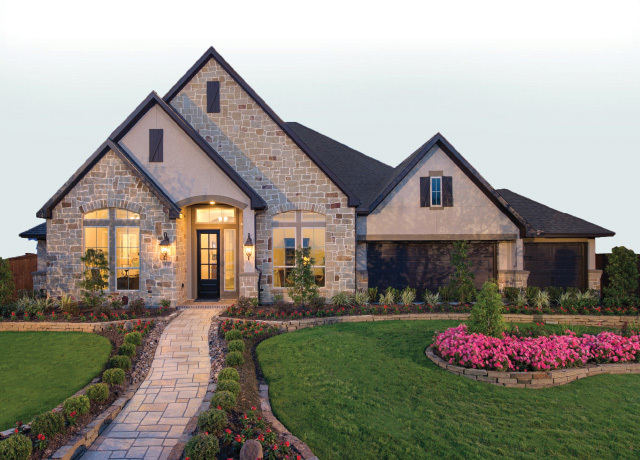 1-story floorplan features an extended entry with 12' ceilings that open to the dining room with 11' ceilings. 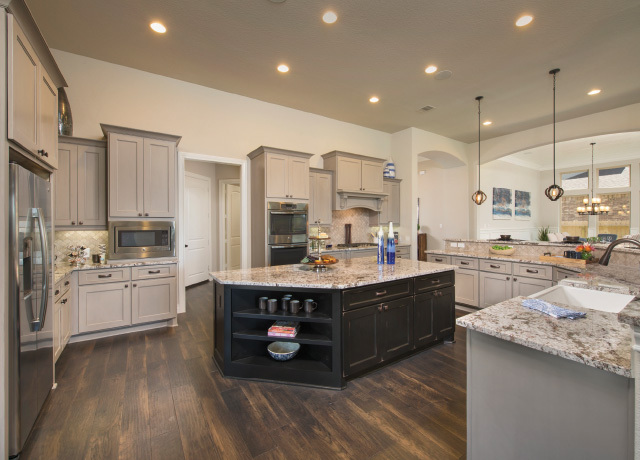 An open kitchen features: 42" raised panel cabinets, built-in stainless steel microwave, oven, and separate gas cooktop, granite countertops with bar seating that overlooks a large family room with a full wall of windows. 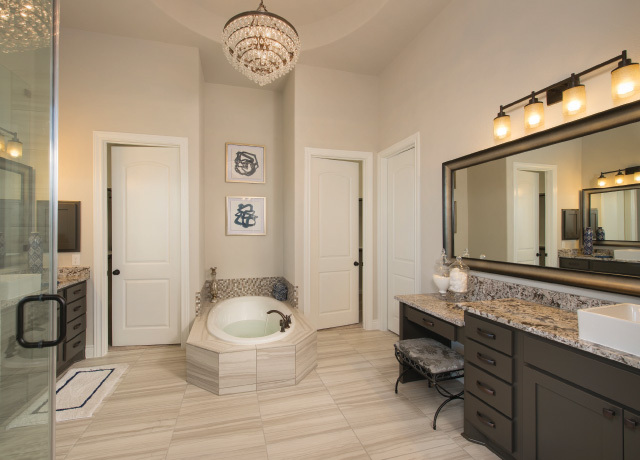 Master bath includes corner tub, separate shower and His and Hers vanities.